‘Down under’ the kangaroo paw (Anigozanthos) is widely spread. This exotic grows especially in southwest Australia in the very dry area of Shark Bay and Mount Baker. 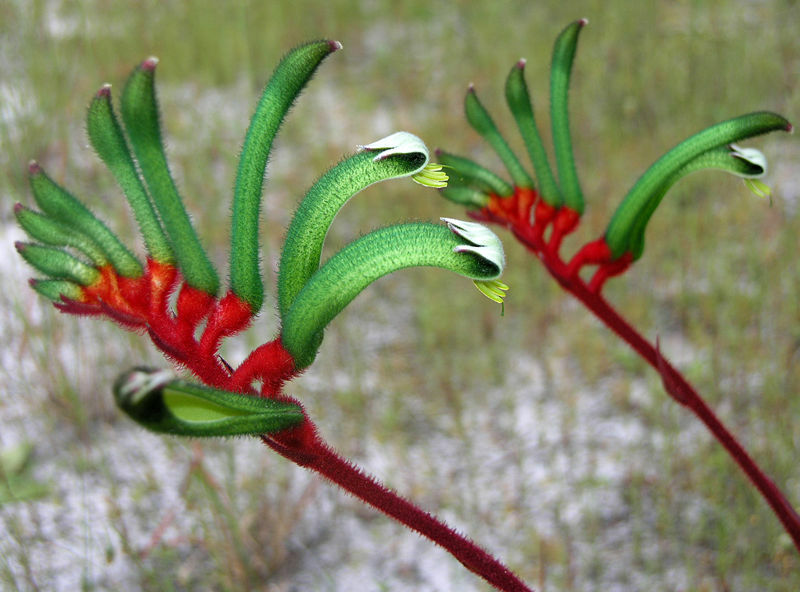 The Kangaroo Paw, even constitutes the national symbol of Australia! In Europe the colorful flowers are mainly used in flower arrangements. As a container plant the Kangaroo Paw is much less known. 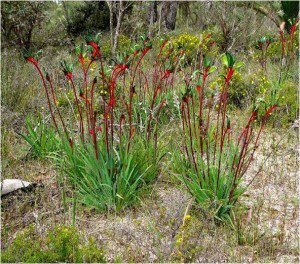 However, the kangaroo paw is quite easy to cultivate. Although it isn’t hardy and sensitive to cold, moisture and fungal diseases, it is definitely worth a try with its exotic-colored flowers, the red woolly hairy stems and the ribbon-shaped leaves. It grows best in sandy well-drained soil. In a soil too wet this plant will quickly fade away. Do not over fertilize this fast grower in spring so that he does not grow out of his strength. It goes without saying that this Australian plant needs a warm place in the full sun for the best result. In winter a minimum temperature of 20°C (68°F) is required. The most special feature of the kangaroo paw are the striking flowers in the form of a kangaroo paw as the name suggests. Depending on the species, there color varies: for example, the Anigozanthos flavidus is yellow, the Anigozanthos manglesii is red, … The flowers bloom at the end of the sometimes branched stems. Adult plants can produce multiple flowers per stem. The pollination of the flowers occurs mainly by birds but occasionally also by honey bees or even marmots. 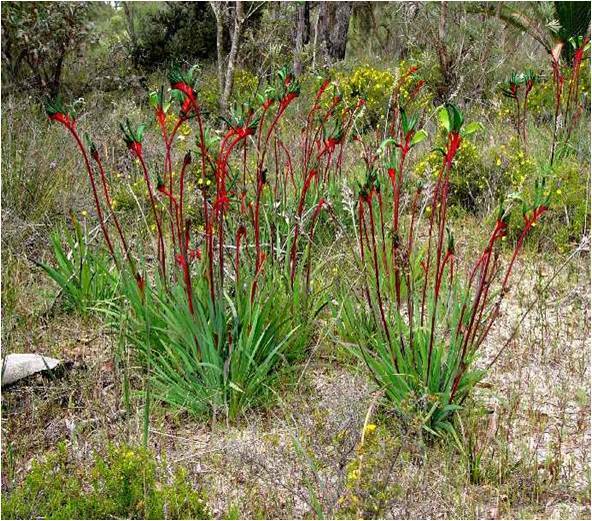 In Australia, the Kangaroo paw flourishes between October and December. In Europe, this plant will bloom during the summer months. 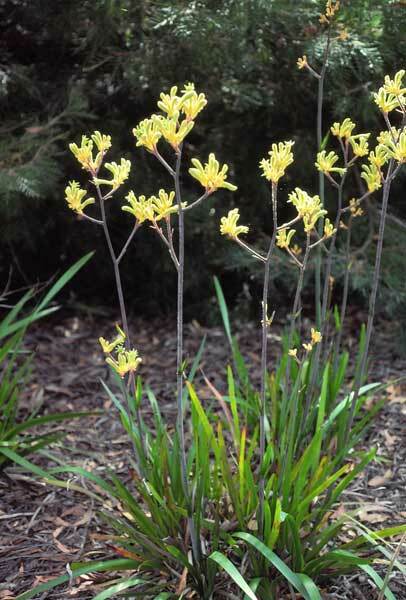 Like most exotic plants, the Kangaroo paw is also best sown in early spring. It is important to keep the soil moist but definitely not wet. In general, this plant germinates quickly. Once the seedlings are about 10 cm tall, you can individually plant them or together in a large pot with a mutual distance of at least 30 cm (12 inches). The plant can be divided for multiplication but every single plant must still have enough roots to grow. This method is also suitable for rejuvenating the plant. Snails are great lovers of the Kangaroo paw leaves. Remove the snails as soon as possible and use a pesticide if necessary.